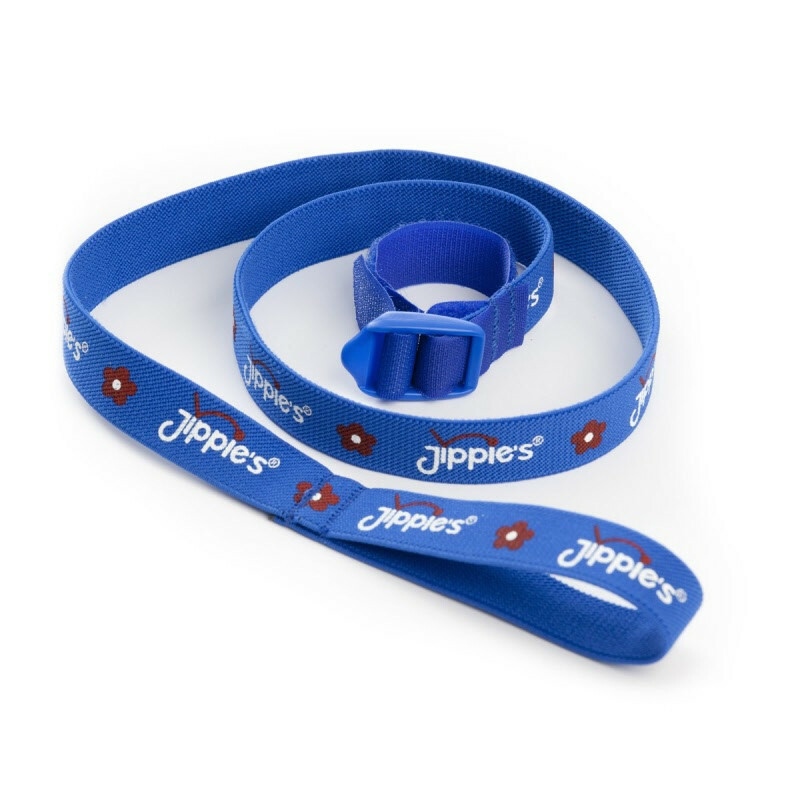 This elastic walking cord will assist in keeping your toddler at arm's lenght. Jippie"s Elastic Walking Cord attached to the wrist of your toddler at the one end and the other end is held by you. Inevitably there will be times when you are be distracted when walking with your toddler. 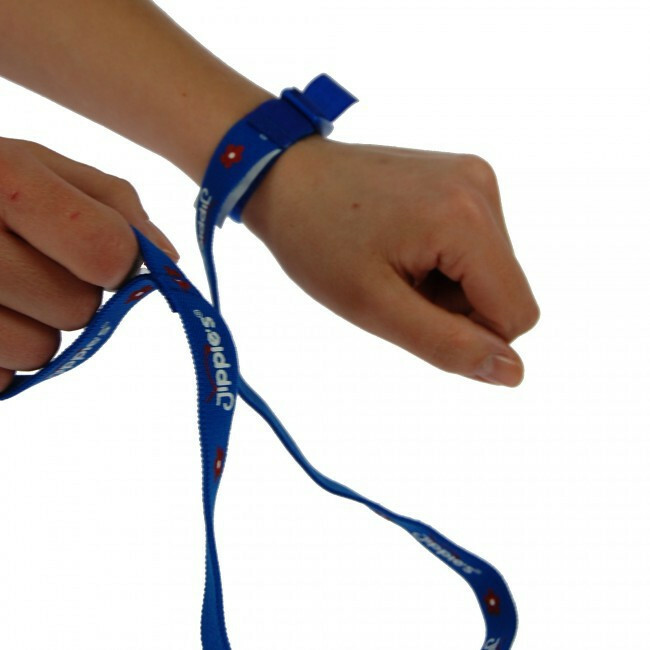 An elastic walking cord will prevent your child from wandering off. The safety of your child is the most important! This is certainly the case if your child tends to run off or is super enterprising. Ideal for the city, airports, tourist attractions or busy shopping centers. 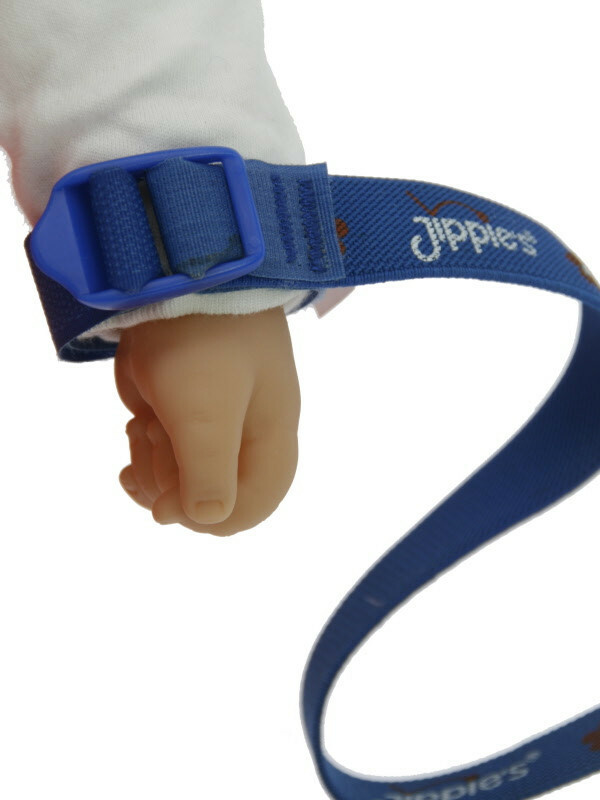 On one side a there's a loop for the parent and on the other side Velcro with a buckle for the wrist of your child. 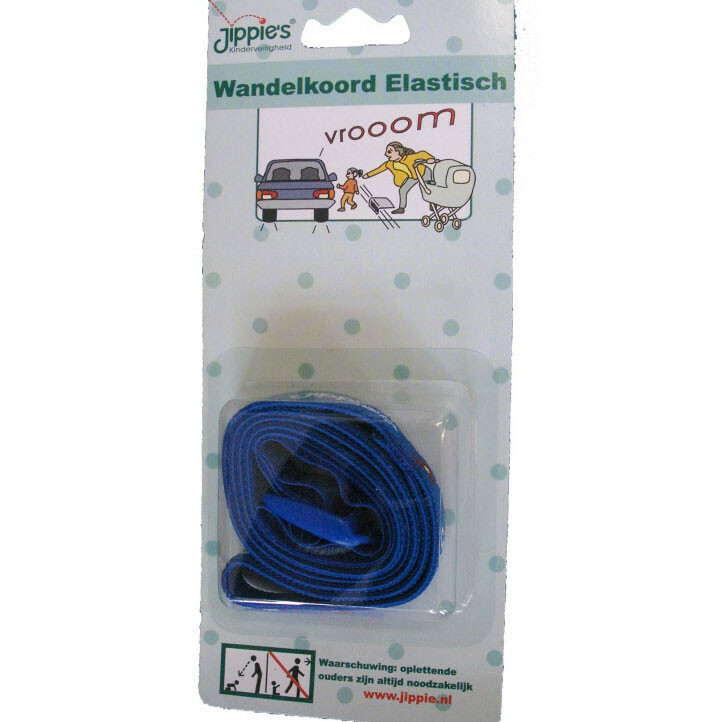 Elastic band with elastic loop on one end (parent side) and Velcro loop-and-hook fastening at the child's end. Small and easy to tuck away in your jacket pocket. Feedback we received from a test-mom: "If your child is able to loosen the Velcro loop-and-hook anyway, then fasten it to the back of his pants. He won't be able to get to that." Every product has its limitations. This product is NOT intended as a method for a child who learns to walk and it cannot prevent a child falling over or stumbling. It is not a substitute for parental attention. Take care: Always give your child a hand on an escalator, lift or at a revolving door. Do not use a walking cord in these situations.